The life of Hawkesbury Stores started at 62 George St, the single storey building on the corner of Bridge and George St. Originally built as a set of three terrace houses in the early 1830's, this remaining building is a rare example of early Georgian terrace building in Windsor. 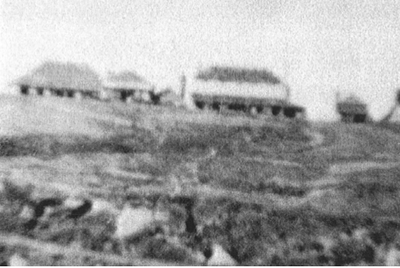 Built by Uriah Moses, it contained a general store and a bakery at the rear of the cottage. 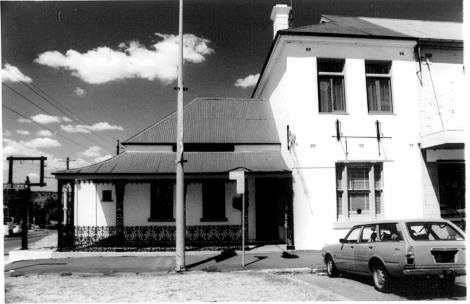 By the 1880's a grand two storey late-Victorian building formed an extension of the Hawkesbury Stores, replacing two single story buildings that were previously on this site. In the newly configured building, William Moses expanded his bakery and grocery business, as well as supplying crockery, homewares and hardware supplies. 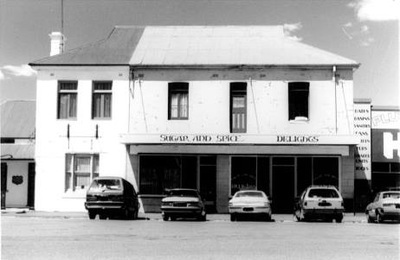 The Moses family moved out of the building in 1920, continuing their bakery further along George St until 1971, thereby ending almost 150 years of baking in the Hawkesbury. Since the Moses family left, many businesses have operated in this site. 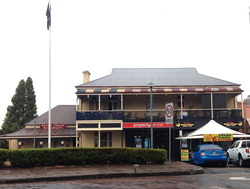 It is currently home to a pizzeria, an accountant and a real estate agency. 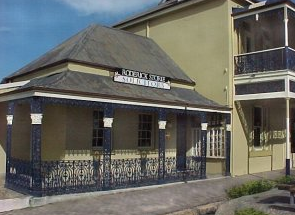 - Researched information and images courtesy of Hawkesbury City Council, National Trust of Australia and RMS.